Jack Khzouz, former chief administrative officer, moves into the top role. 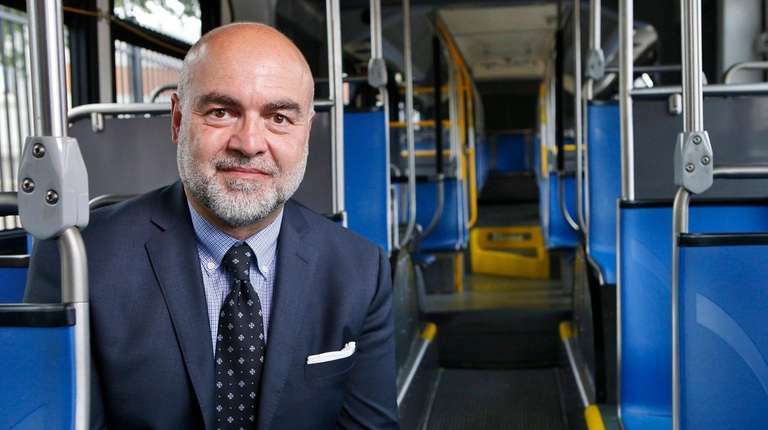 Jack Khzouz on Monday took over the role of chief executive officer for the Nassau Inter-County Express, or NICE Bus, officials said. Khzouz replaces Michael Setzer, who led NICE since its inception in 2012. Before joining NICE, Khzouz was president and chief marketing officer of XMI Marketing & Branding Consultants for 12 years. NICE’s former CEO, Setzer, will continue working for Transdev on a part-time basis, including as an adviser to NICE.